Kallisto on South Beach is the brightest new star in the constellation of exclusive residences in the lively SoFi district of Miami. Named for the mythological Callisto - whose name derives from the Greek word for “beauty” and who, beloved of Zeus, was transformed into the constellation Ursa Major - this intimate and stunning development translates today’s highest standards in condominium living into 21st –century architectural beauty and technology. From the outside, Kallisto’s unique appeal is apparent. A puckish choice of colors distinguishes the thin and airy façade, accenting the layers of glass-fronted residences. A glass-fronted lobby rich in stone, glass and warm woods leads onto the Conference Room and Business Center. A sixth-floor Sunset Deck overlooks the Atlantic, complete with a heated infinity-edge pool, spa, poolside bar and lounge area. The upper penthouse includes its own private swimming spa and outdoor bar. Developed by Boston-based The Congress Group, the 19-story Kallisto is limited to ten floor-through sky-homes, including eight single-floor residences, covering from 4,399 to 7,947 square feet, and two duplex penthouses. The floor-to-ceiling glass windows and full-floor layouts create a sense of floating above the nearby beach, the expansive Atlantic Ocean and the sparkling Miami skyline. Private elevators, sensitive to fingerprint entry, serve each residence. Parking is in assigned spaces in the controlled-access parking garage. Encased in the 360-degree views are the latest in design and technology options. Each unit offers its own private exercise room. Kitchens are appointed with custom Italian wood cabinets and granite countertops. State-of-the-art European coffee systems are built-in. Master suites boast midnight kitchens with bar and frig as well as dual closets. The master baths are floored in marble to complement double-sink vanities with raised sinks and frameless glass shower enclosures. Laundry rooms hold washers and driers as well as a utility sink. Interactive Smart Panels connect residents with the 24-hour complimentary valet and other services. They also control residence media centers and environments, including air and heating, lighting and window treatments. Parking spaces are assigned in the controlled-access 4-level parking garage. The Kallisto is situated in the vibrant South of Fifth, or SoFi, neighborhood of Miami, known for its lively artistic offerings. Steps away are sought-after shops and restaurants, including Fresh on Fifth, Prime One Twelve, Armani Exchange, DeVito Italian Prime Chophouse and Smith & Wollensky. 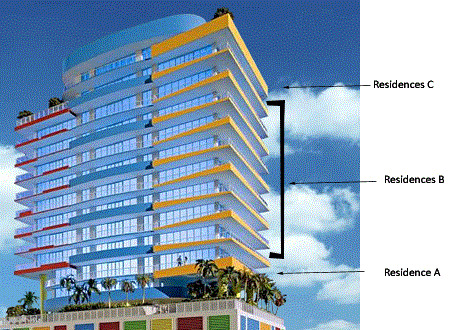 The recreational and cultural attractions of greater Miami lie minutes away. 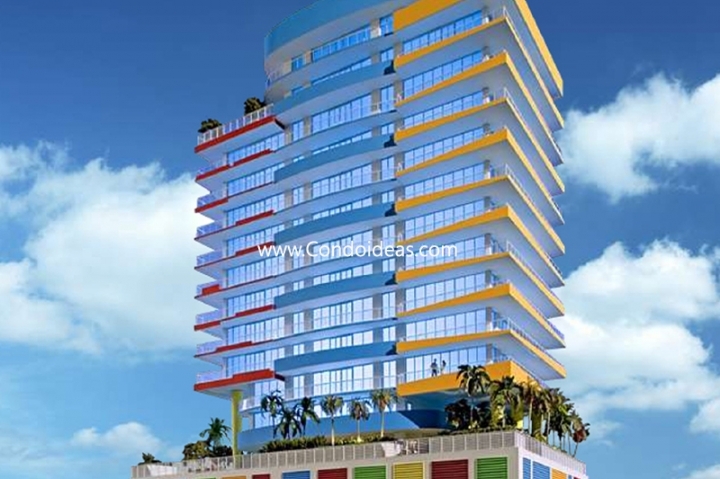 For a step into the 21st Century, choose to make your future home Kallisto on South Beach. In the neighborhood, you should also check out the Ocean House.